Email deliverability is changing for the better, increasing security and reducing the likelihood of spam. Instead of guessing how to get your email delivered, all MAJOR email receivers are asking senders to make email easy to identify. This process is called ’email authentication’ and DMARC is the right way to do it. Domain-based Message Authentication, Reports, and Conformance (DMARC) is the latest and greatest advance in email authentication. 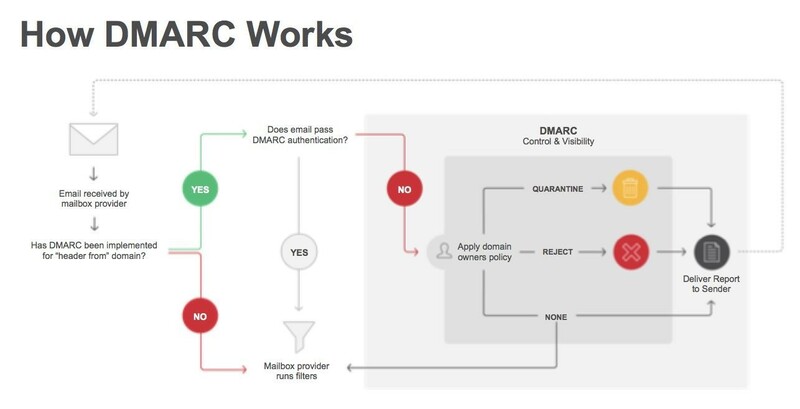 DMARC ensures that legitimate email is properly authenticating against established DKIM (Sender Policy Framework) and SPF (Domain Keys Identified Mail) standards, and that fraudulent activity appearing to come from domains under the organization’s control is blocked. DMARC is the first and only widely deployed technology that can make the “header from” address (what users see in their email clients) trustworthy. Not only does this help protect customers, it also discourages cybercriminals. To learn more about DMARC, click here. This entry was posted in Email Marketing, TG News and tagged . Bookmark the permalink.